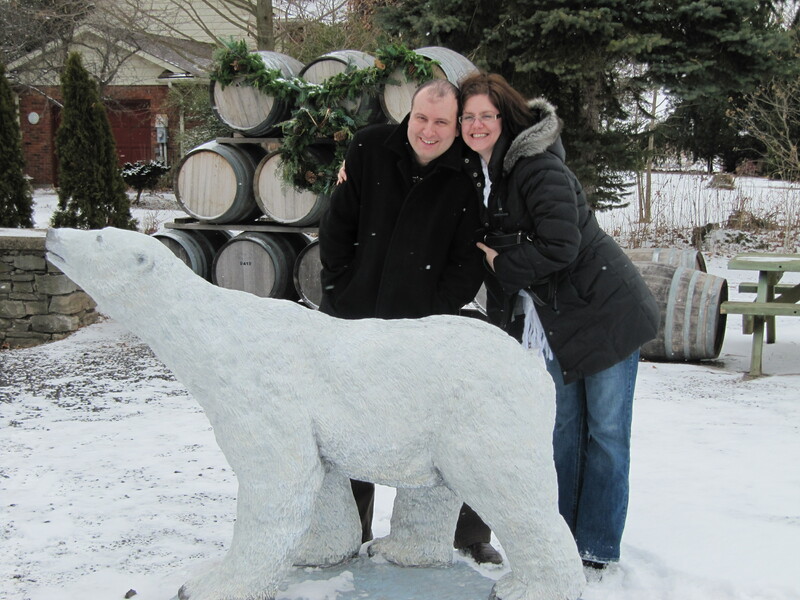 We spent the day in Niagara on the Lake partaking in the Days of Wine and Chocolate festival. 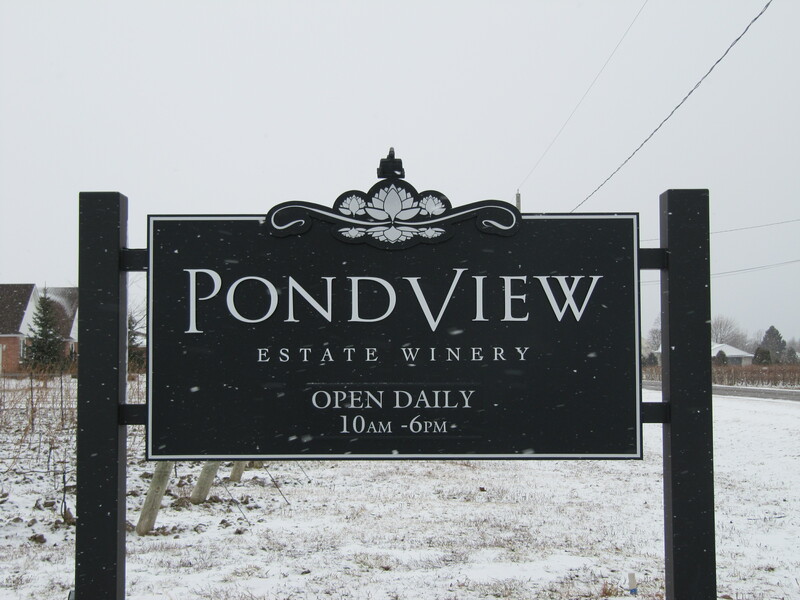 PondView: It was the first time we’ve gone to this one – they opened last June (previously sold their grapes to other wineries) and we enjoyed chatting with one of the owners (it’s a family outfit). They paired a 2009 BFBA Chardonnay with a white vanilla bean chocolate. Tasty! We also tried a very promising 2009 Cabernet Sauvignon and their 2007 Trinity red. Looking forward to good things from this winery in future! We bought a bottle of the Trinity red. Marynissen: We’re fans of this winery and were happy to get to try their 2007 Cabernet Franc with dark chocolate mint. Yum. We picked up a bottle of the Solstice that we liked. 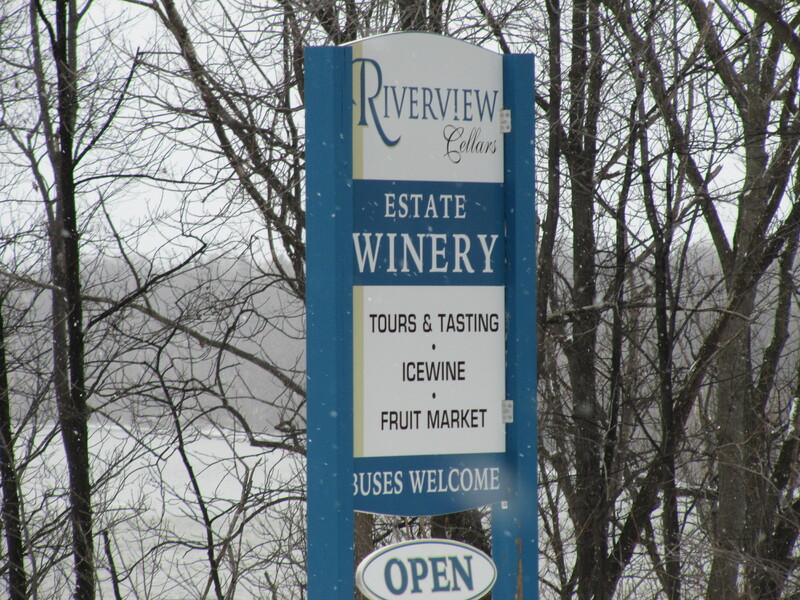 Riverview Cellars: This was another new one on the list and what a treat it was. They started the tasting off with their 2008 Bianco, followed by their 2008 Rosso, and finished with their 2009 Vidal Icewine paired with dark chocolate peach cinnamon. Ravine: We stopped here for lunch (I had the chicken pot pie with salad, Chris had the croque madame with fries and mayo). I ended up buying a loaf of the walnut currant bread as well. After lunch, we went next door and had their 2009 Gewürztraminer paired with white chocolate freeze dried strawberries – the pairing was quite good. Maleta: Another favourite spot of ours – great wine and awesome staff. We had a nice chat with Sharon and enjoyed their 2006 Grape Brain Cabernet Merlot with dark chocolate maple walnut. We picked up some more 2003 Meritage and a very nice Chardonnay while we were there. I’m already planning to try one of Sharon’s suggestions to pair the chard with salmon! Palatine Hills: On most of our visits, we usually stop at this winery for the good wine and friendly staff and today was no exception. We tasted their 2006 Cab Sauv with dark chocolate cherry and ended picking up a bottle on our way out. Konzelmann: Yes, another favourite! Here we got to try the 2009 Shiraz as well as their Pinot Noir (which we’ve tried and purchased before), paired with dark chocolate nutmeg. Although the Pinot paired better with the chocolate, the Shiraz was great as well – nice and peppery. We got a bottle of each. Love the staff here! Strewn: We’ve only stopped here once before as well – this time we enjoyed their 2008 Meritage paired with dark chocolate raspberry. The cooking school area is a great setting for the tasting – too bad we live in Mississauga and can’t partake in their classes! Stratus: After a lackluster stop the very first time we’d visited this winery (none in our group liked the wine the first time we visited over a year ago), we decided to give it another go. We tasted the 2007 White which was actually very good, paired with a roasted chocolate-covered brazil nut. Nice! 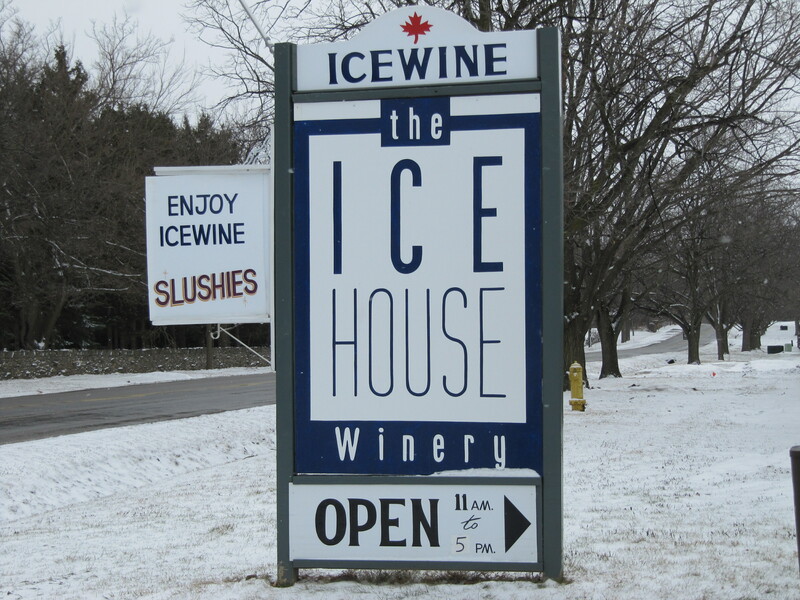 Ohmigosh, I want an Icewine Slushie right now! This is defintely my kind of festival!